SMARTY Trend head device for Geely Emgrand EC7. We present to your attention an example of instalition the heat unit in the Geely Emgrand EC7. This car is an excellent option for the city, is in demand among those car enthusiasts for whom reliability, quality and economy are priority. But today the equipment of the car leaves much to be desired, of course, you can contact the official representatives for improvement, but the cost of these works, as a rule, is unreasonably high. 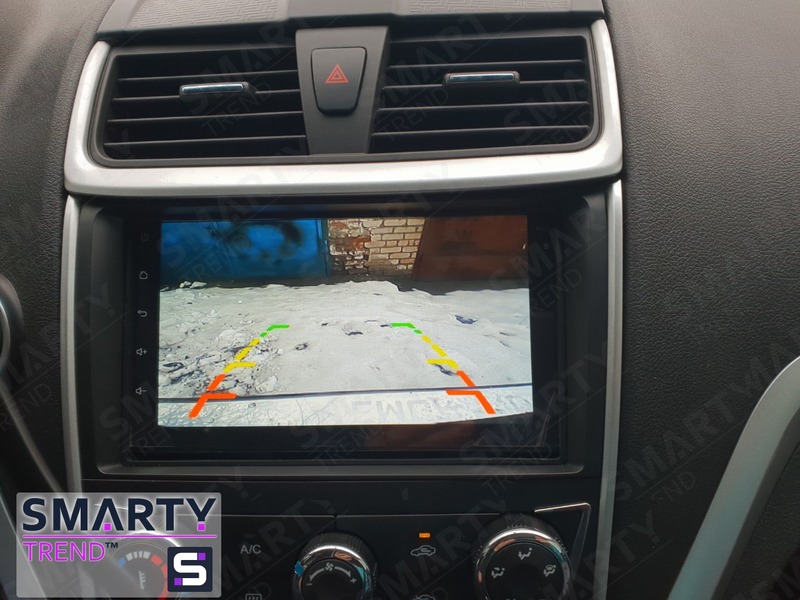 The company SMARTY Trend will be happy to help you in choosing a radio, which not only suits your car, but also satisfies all your requirements. We suggest you familiarize yourself with the installation process and some of the features that are now available in this car. Many car owners are interested in the question of how to install? What kind of work I need to do? To install the heat unit in this car, a special transition frame was specially used, for this it is connected with the peculiarity of this car. Receiver SMARTY Trend installed on the connector to the connector; There is no need to perform any additional work to install the device. Universal deviece with 7-inch touch screen, HD resolution. This type of heat unit is installed on cars for which there are currently no standard solutions. Despite this, the radio supports all the regular features of the car. For many, the problem of sound quality is one of the important. Through the use of a powerful HI FI processor, an excellent sound stage is provided. There is also a built-in 12-band equalizer for maximum tuning of any type of frequency. After installing the heat unit from the company SMARTY Trend, the sound quality becomes much better than in cases with the standard version. This SMARTY Trend heat unit is equipped with a powerful eight-core eight-core processor 1.8 GHz (Allwinner T8). Thanks to the Android operating system, you can install a huge number of applications from the Google Play Market or install the application using the special APK installer from your USB flash drive or SD card. Thus, even if there is no head unit in your car, this doesnt mean that you cant improve your car at the best price. Excellent build quality and specifications provide you with new opportunities for your car. It also changes the look of the car for the better. By its capabilities, this car is now not inferior to the cars of the last model year. Company SMARTY Trend will help you with the choice of heat unit for your car!